It’s out there somewhere, I know it. It knows where I am and I feel it getting nearer, little by little. I haven’t told anyone before this—I’m too afraid of people thinking I’m crazy. Afraid it’ll hurt my career if anyone finds out at the office. And so I go along day by day, trying to ignore the fear, like the man who avoids the doctor because he is terrified of confirmation more than the cancer itself. The truth is, I know something is after me. If I only knew what it was. I say “it” and not “he” since I can’t tell if it’s even human. Sometimes it looks like it, but then it moves wrong, or just disappears. I can see it across from my house sometimes, if it moves into the streetlight. I saw it once out my office window, just a flash of something dark moving between two cars. I can’t prove it but I know it wasn’t a person or an animal. I finally got a picture of it. 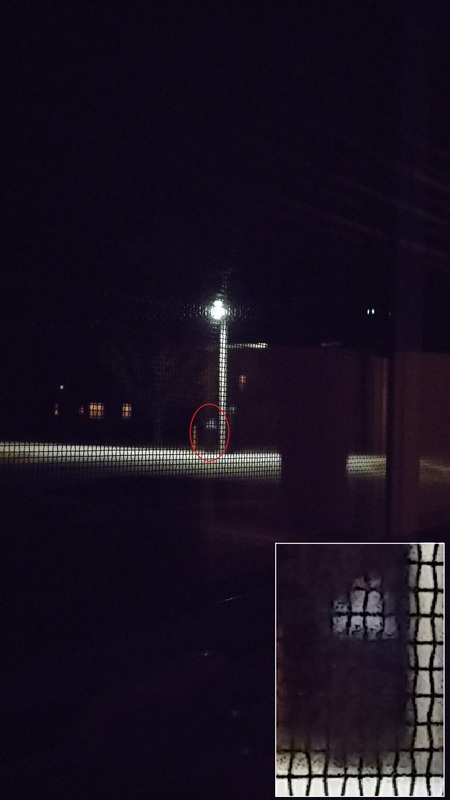 It was standing there in the streetlight across from the house, almost taunting me with its presence. I turned off the lights and took a picture. It turned out horribly, of course. I shouldn’t have taken it through the screen, for one thing. I’ll have to use video next time. I’ll let you know if I get anything more. I thought it looked human, but now I’m not sure.